There are buds on the trees, the grass has turned green, and the birds are chirping. What does that mean? It’s MOVING SEASON! Are you getting ready for a move this year? Are you dreading the cost of your move? 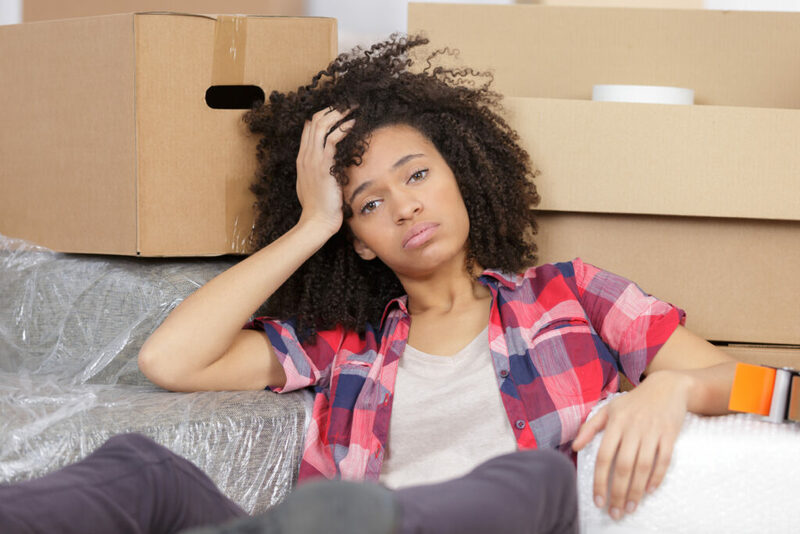 Moving is always exhausting, but it doesn’t have to be too hard on your budget. If you’re considering moving soon, start decluttering your house now! The fewer things you have to move, the cheaper and easier the move will be. By clearing out, you may also discover that you don’t need as big of a new home as you thought. Clearing out the clutter can also help stage your house to sell, which could help your home sell faster. Ask friends who have recently moved. Look for ads for free boxes on Craigslist or Freecycle. Post in a local Facebook or Nextdoor group. Ask at liquor stores or grocery stores. If you can’t find any used ones, buy boxes from a home improvement store instead of a moving company. They’re much cheaper! When you’re done with your boxes, offer them to friends or free on Craigslist. Pass along the favor and keep them out of the landfill! If you’ve got time, hold a garage sale to get rid of small household and clothing items that you no longer need. 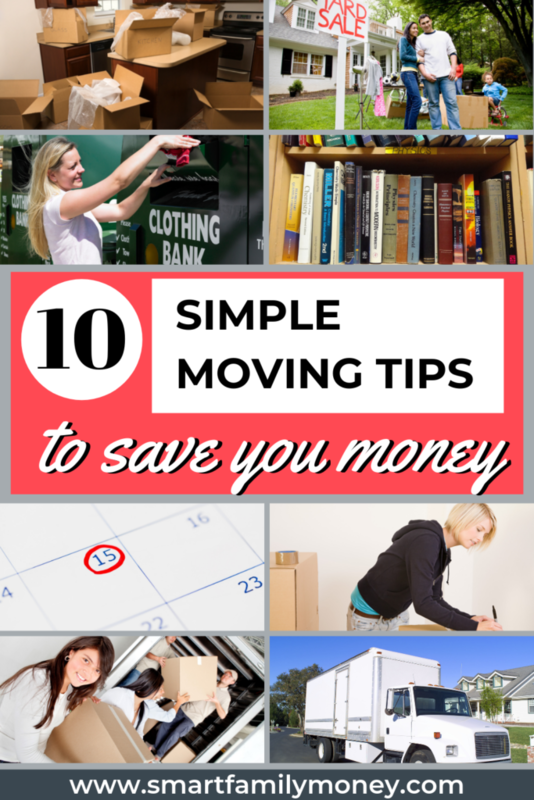 This will save you money on moving and help you raise a little cash to help with your moving expenses. Sell your larger or more expensive items on Craigslist or another sale site. If you need to clear out large items that aren’t worth much, list them for free! You’ll be shocked by how quickly people will pick up free items! Keep in mind that many charities also offer free pick-up services for large items. What does labeling your boxes have to do with saving money? Have you ever tried to find a can opener in 100 un-labeled boxes? If you can’t find things, you’ll end up re-purchasing things you already have. Be organized with your packing and label everything. Think about the things you’ll need during your first night after your move and pack those items separately. You might want to have each person pack a suitcase with some clothes and toiletries. Whether you’re renting a truck or hiring professional movers, be sure to get several quotes. If you’d prefer to go with one of the more expensive companies, don’t be afraid to ask if they’ll price match your lowest quote. Often they’ll be happy to match the price and get your business. Sometimes shipping can be less expensive than moving items, especially in the case of long-distance moves where you pay by weight. If you have books to move and are paying movers by weight, USPS Media Mail will likely be less expensive. If you’re able, move in the winter or during the week. It costs much more to move on a summer weekend then it does a winter weekday! If you are able to give yourself some time to prepare, it can make the move less stressful and less expensive. By having some extra time, you can do all of the items above and not have to spend money due to lack of time. It may even be worth paying to have a few weeks of possession of both homes so the move can be stretched out. If this allows you to avoid expensive costs like hiring professional movers, it could save you money in the long run. Are you preparing for a move this year? Comment below with your idea to keep moving costs under control.